As a material, I think cement is nice. I like that it is strong and relatively plain but when polished can look quite beautiful. In this sense I think that because it is so plain, it gives room for making; it is almost a empty canvas. On the other hand, if we look at the environmental issues surrounding cement it is a very harmful material. For a while I had been trying to work out a formula and use for the cement mixed with glass (I also tried other materials like tea and paper). What I am trying to achieve with this is to reduce the amounts of cement used for making (lamp bases and cups). 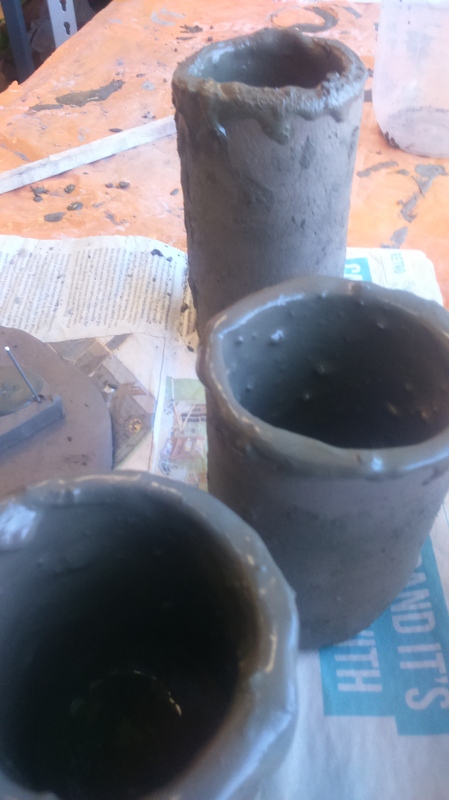 I had been looking at ways in which I could make moulds for casting as the aluminium ones I had made from old cans were not the most appropriate. 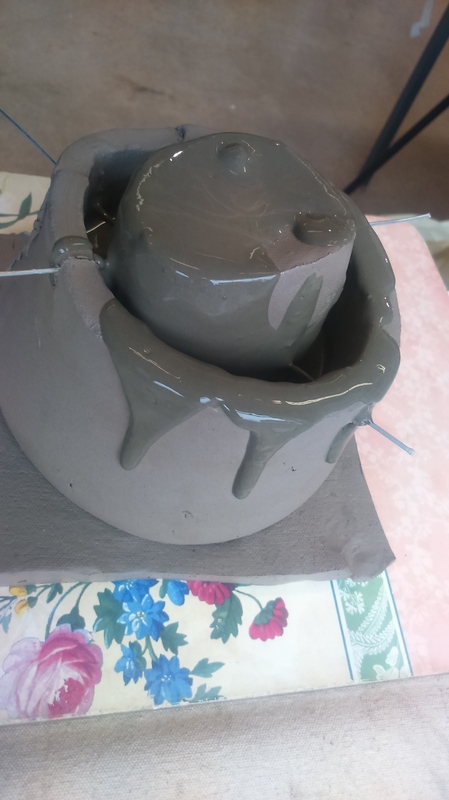 I thought that clay would be a good way of making the moulds because it is relatively easy to shape and quick to work with. So first I tried digging into the clay and I put some cling film to avoid the cement sticking to the clay. It worked fine but I had loads of texture as I could not get the film to lay completely smooth. 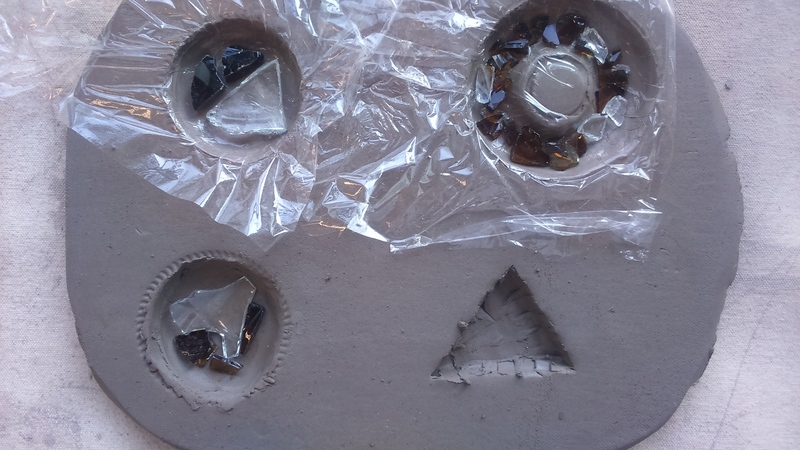 Then I tried pouring the cement in shapes I dug out of the clay (with no film). I waited until they were dry enough and then took them out. 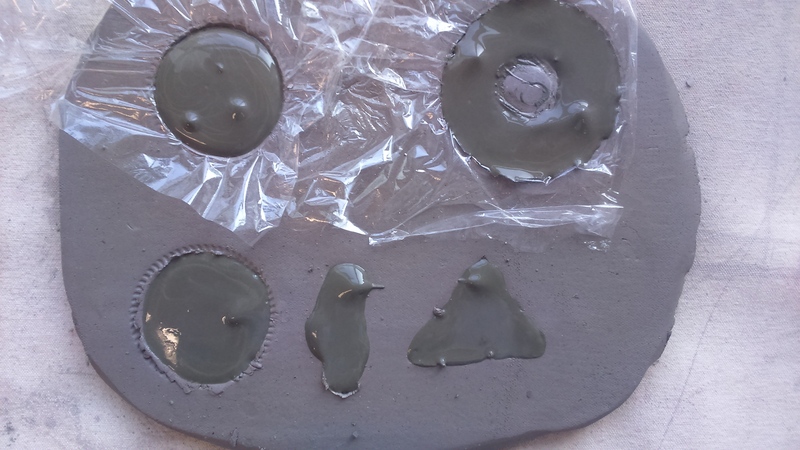 Since this worked, I tried to make moulds with the clay. 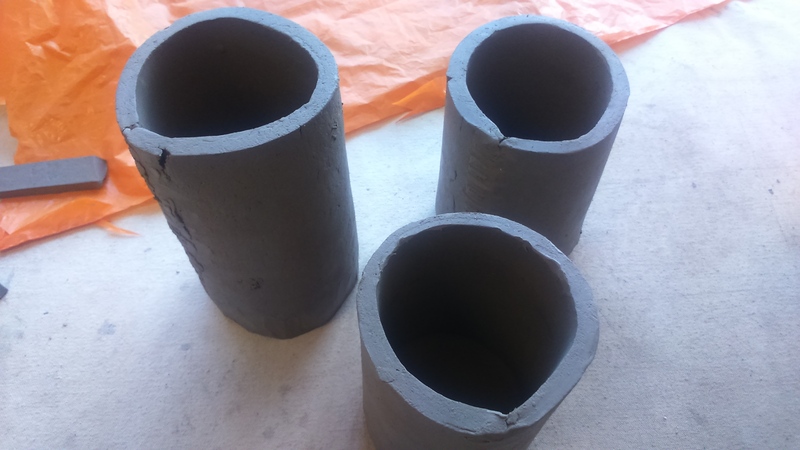 I started making cup shapes, doing the outside and then a cylinder in the middle which I held with some wire. This was to basically have the shape of what the cup would look like and then poured the cement. Again, I waited until it was dry enough to take the clay apart. It was sort of working, but the cup didn’t look very professional. 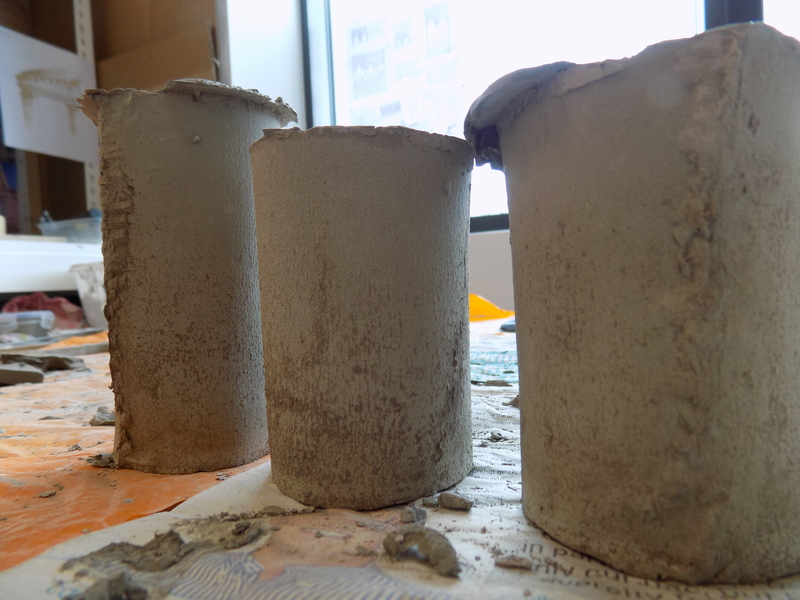 I began to consider that the clay was too wet, the weight of the cement started pushing. I tried again doing something similar. 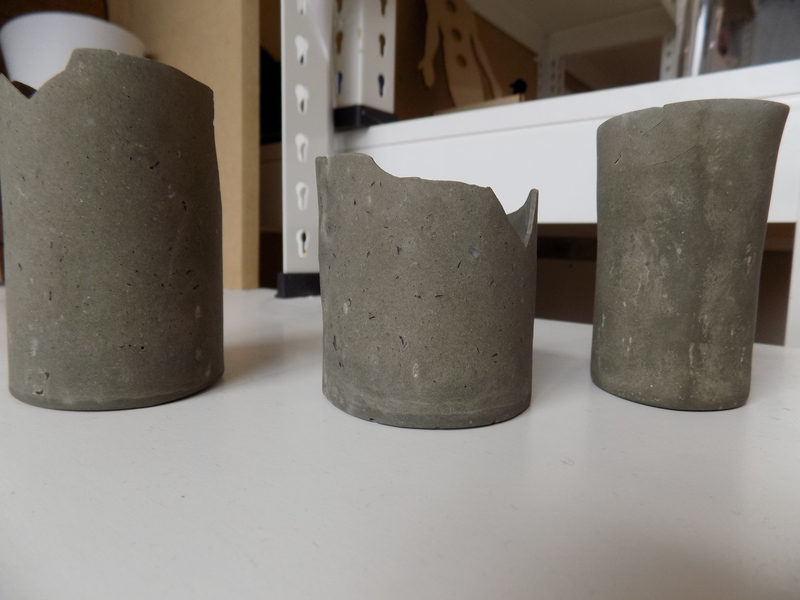 This time I only did the shape of the cup and slip cast it with cement; I let the clay dry a little. It looked good, but it was too thin to take it apart when it was dry, so I left it in the mould over night. Found something amazing when I came back the day after. 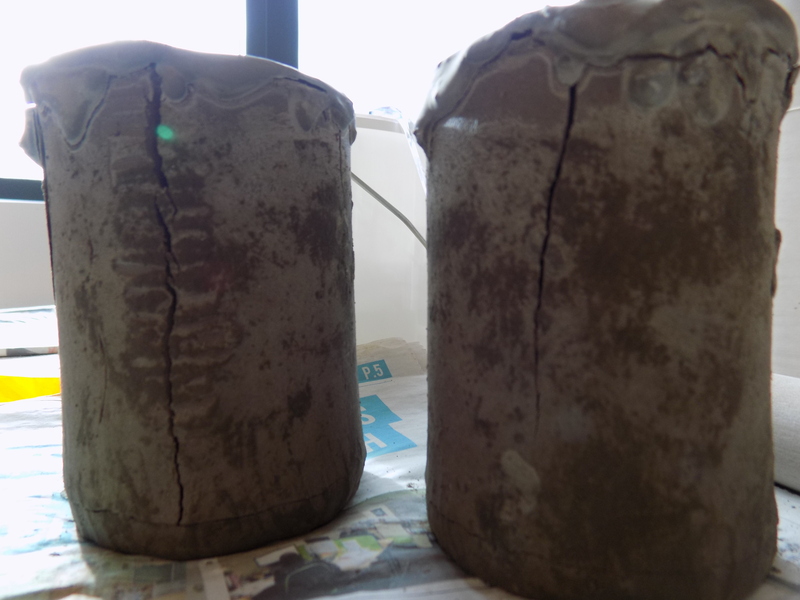 The clay had dried and cracked, leaving the cup perfectly in place. Perfect. For two of these, I tried mixing some crushed glass in the cement. It was mainly powder, but I left some bigger bits to see how they would look. I then proceeded to wet and dry sand these. They looked really attractive but because they were cast so thinly, they kept breaking. I sanded them for a while using three different papers. The ones with glass looked really good, I managed to sand them smooth enough to bring the glass to level. Because they were cast so thinly, in some places light came through. 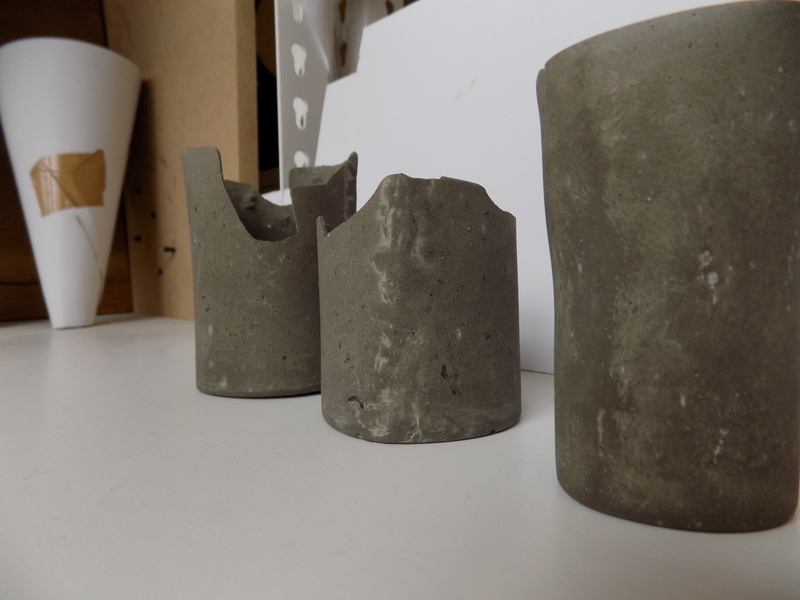 Since then, I have been exploring possibilities to make them safe for use, as drinking vessels, without much luck. 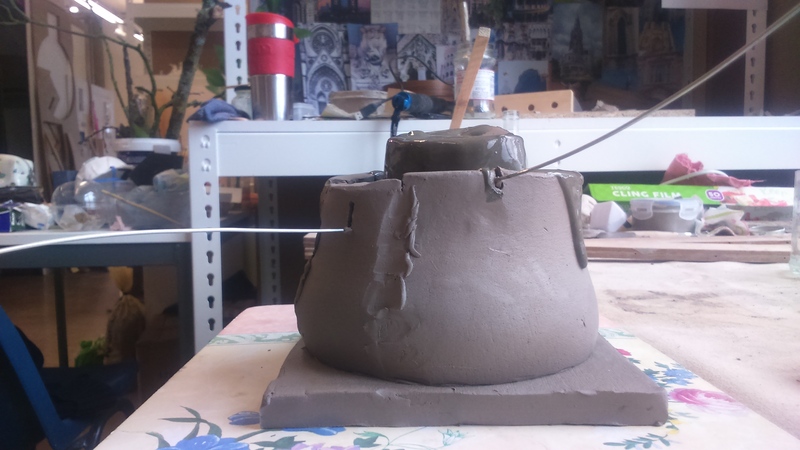 I have been told that I would most likely not be able to fire them in the kiln, although Duncan has told me to fire it to a low temperature of around 500 degrees and soak it for a while but I am yet to try this. After that I will need to address the porosity. 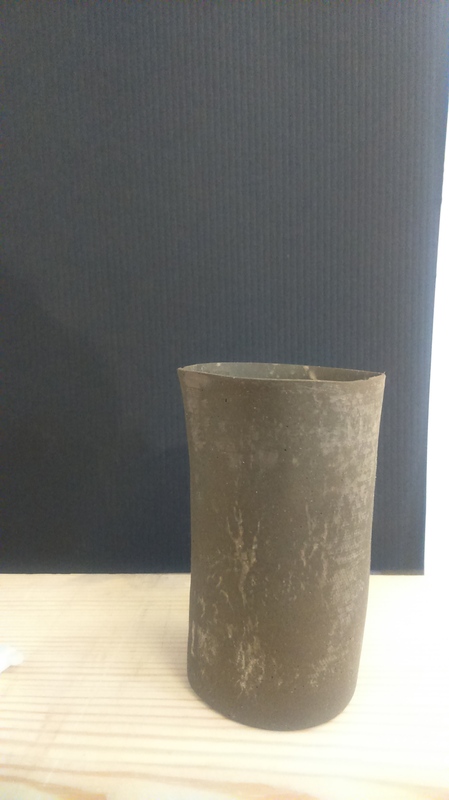 One of this cups I have been polishing using a wood treatment I had home. It has made it look sealed, but again not sure if t has made it safe. I am still trying with them because I think they have a lot of potential. However I am also aware of the time we have left for the deadline and that I will need to invest a lot into working them out. Tomorrow I am going to look at changing the design. I will try to cast plates and bowls instead of cups. I will also try to make lampshades, following the theme of light.